With a sprinkle of sparkle dust, a pinch of magic and dash of colour, Australia’s favourite brand of shoes for baby are proud to bring you our Baby Ballet Slipper range. Every little girl loves to dress up and cheeky baby girls can now complete their special outfits with a pair of Cheeky Little Soles Baby Ballet Slippers. 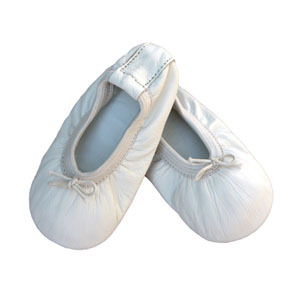 These white baby ballet slippers are also the perfect way to complete any special occasion outfit including Christenings, Baptism, flower girls and wedding outfits! They really are the perfect Christening shoes or Baptism shoes.